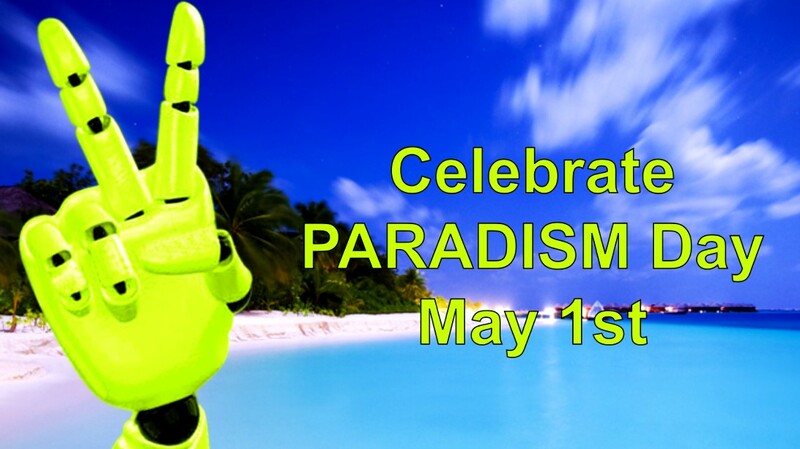 “The Paradism movement has declared May 1st International Day of Paradism to celebrate the advent of a new society without work and money” explains Jarel, leader of the Paradism Movement and Raelian Guide. When asked why he would advocate such a utopia, Jarel is adamant that our level of knowledge and technology combined with the current resources, if made available to all instead of the few who control them, would be sufficient to transform this planet into a paradise. “ It is appalling to see how the public is led to believe that they have to work harder and prepare the young generation to work as hard” declares Jarel. “Children need to know that they have been created to enjoy life, not to suffer through it or spend it in constant fear that they may not have the means to survive”. “We chose May 1st as the Paradism celebration Day as it is also the International Worker’s Day also called Labor day in many countries which was created in 1886 advocating for eight hours of work, eight hours of recreation, eight hours for rest.” explains Jarel. “It was then a utopia, a dream that many live now without questioning it. It is time to bring a new dream to humanity and make it real faster than the previous one. It is time for unlimited time of creation, recreation and rest for all. This is what the members of the Paradism Movement, supported by the Raelian Movement, will be advocating in the streets on May 1st.